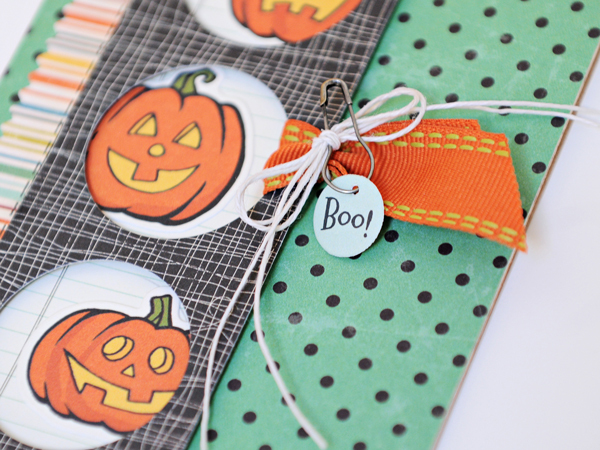 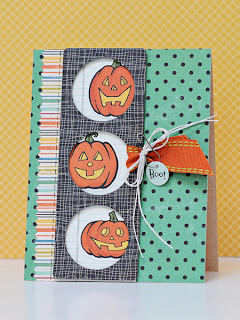 For this card I created a Halloween themed card using the new Witch Hazel collection by October Afternoon. LOVE this collection - the combination of colors is just fantastic! 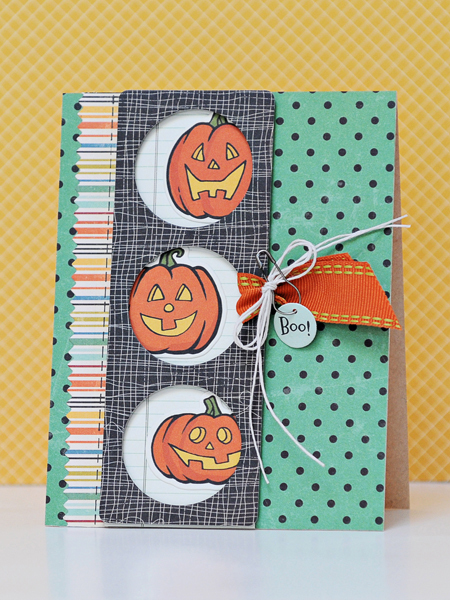 I created a little “peek a boo” window on the front of my card for a fun twist and added visual interest.